Singaporean women embrace the concept, and from one neighbourhood store, the company expanded to 12 outlets across Singapore in 2008. The company also started bringing the bYSI brand overseas through franchising since 2005. Now women in Indonesia, Vietnam, Malaysia, Cambodia, Nepal, Saudi Arabia, Myanmar. India and China are also able to enjoy the privilege of wearing and not just viewing from an unattainable distance, the latest trends they desired. Brand Mission: To deliver the latest fashion to every woman for every occasion so they can own a chic, functional and fashionable day. Brand Character: Free-spirited, chic, imaginative, creative and intelligent. bYSI believes that every woman should have the luxury to access the latest fashion trends, and our run way - inspired fashion has helped to cement our reputation as one of the leading fashion retailers in South - East Asia. 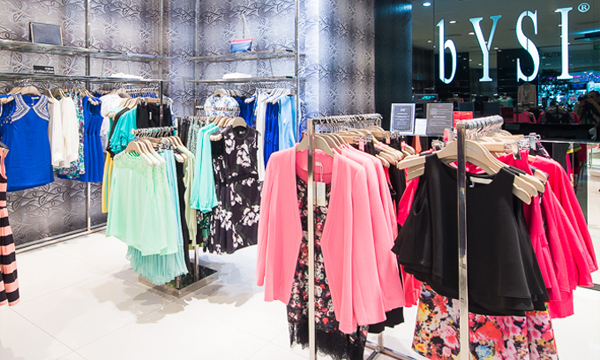 Targeting sophisticated and fashion - forward women, bYSI has carved out a unique fashion franchising concept since 2005. Through unique store concepts and a high monthly turnover of affordable designs, bYSI has become an essential fashion choice for women of today.We are constantly on the lookout for potential passionate partners who are entrepreneurial and dedicated to the growth of the bYSI brand for International markets.